Farouk Belal, an American citizen Syrian-Kurd in Washington, DC, has been an opponent to the regime of Bashar al Assad from the outset of the revolution, in 2011, joining early street protests demanding democratic reforms. Mr. Belal told Shout! News in an interview that there is not going to be a lasting peace in Syria as long as President al Assad is in power and warned of Syria following the path of Lebanon, where the ending of the 1980s civil war did not include a transitional justice process and is the reason behind the absence of a stable, functioning government. "There is no way that the world normalizes relationship with Assad. In the U.S., inside and outside Syria the revolution continues. Our main demand when we came out on the streets was asking for freedom. We did not ask for ISIS, all these killings." 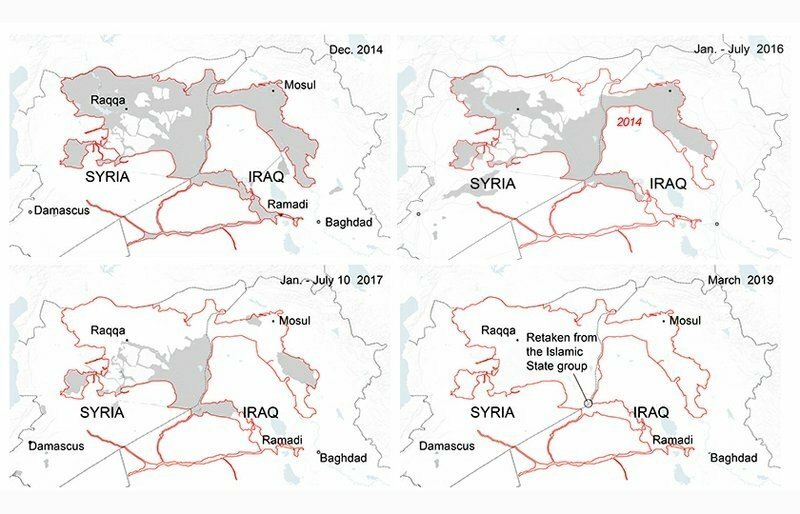 Why it matters: Recent news have featured a resurgent Syrian regime moving forward with normalization--e.g. some Arab countries re-opening their embassy in Damascus--and President al Assad military's territorial gains. Yet, Mr. Belal's position demonstrates that the demands that brought him and other Syrians to the streets are still very much alive eight years after the beginning of the conflict. Mr. Belal told Shout! News about his vision for the future of Syria. Syria's conflict resolution should involve a series of steps aimed at bringing President al Assad to the negotiation table in order to find a political solution followed by justice and accountability for all war crimes under the umbrella of he United Nations Security Council Resolution 2254. The starting point is to bring together the three main players in Syria now. All are foreign, "it is not a Syrian war anymore," Mr. Belal said. The US, Russia and Turkey should come to the table and find a solution, at least find an alternative solution, implemented in northern Syria, from Idlib to Afrin, Jarablus to the Euphrates, in an area currently under the control of the Syrian Democratic Forces, President al Assad military, Turkey and Islamic militias. It should also involve eliminating the jihadist group al Qaeda. A stable region in the north will become a safe haven for the Syrians who choose to return voluntary and a model for Syrians who have been hoping and fighting for democratic reforms for the past eight years, Mr. Belal said. It will require the United States and Turkey putting pressure on Russia to bring President al Assad to the negotiation table. 1. Astana process' next step: Kazakhstan will host new peace talks on Syria, backed by Iran, Russia and Turkey in effort to reach a political settlement for the conflict on April 25 and 26, The New Arab reported. The United Nations and Jordan are expected to attend as observers. 2. Christianity grows in Syrian town once besieged by Islamic State, Reuters reported, referring to Kobane, in northern Syria. The Evangelical movement is the beneficiary, not the traditional Eastern churches. Converts say the experience of war and the onslaught of the Islamic State claiming to fight for Islam pushed them to distance themselves from Islam. 1. Assad loyalists are turning on Syria's government as living standards deteriorate. Damascus' residents say life has become more difficult in recent months than at any point in the past eight years. Acute shortages of fuel, cooking gas and electricity have left citizens shivering in darkness through an unusually cold winter. The Syrian currency, which had plunged and then stabilized after the war broke out, is sliding again, sending prices soaring, The Washington Post reported. 2. U.S. sanctions hit Iran's oil lifeline to Syria, using maritime big data. Iran has been unable to deliver oil to Syria since January 2, according to maritime-data provider TrankerTracker.com. The use of new big data techniques led to Egypt turning back an Iranian tanker headed for Syria over U.S. Treasury warning, The Wall Street Journal reported. 3. Turkish President Tayyip Erdogan said on Sunday that Turkey will take the issue of the Golan Heights to the United Nations. On Friday, in a speech at a meeting of the Organisation of Islamic Cooperation on Friday, Erdogan said the legitimization of the occupation of the Golan Heights cannot be allowed, Reuter reported.